ACROSS the U.S., Jihadi activity continues apace. Unmolested. Even so, some states are more “active” than others. Superstars. Such is the case with the Sunshine State, Florida – a veritable hub….terror-nest….worse than a cesspool. It is that bad. AS a matter of record, Florida should be considered a “Jihadi playground” – open sesame-like. As always, to catch readers up to speed, a look-back is mandatory for patriots and discerning readers. While many have heard of Sami al-Arian, too few are familiar with his terror bonafides; that which should have caused a football stadium full of law enforcement types to sit up and pay attention to from the get-go. 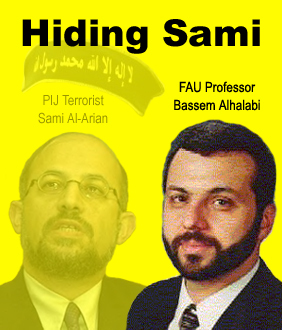 In brief, a legal resident of the U.S. since 1975 – up until his deportation in 2015 – for years, he was the Brotherhood Mafia’s head chieftain for PIJ (Palestinian Islamic Jihad) in the U.S.! His headquarters were in – you guessed it – Florida! To be exact, Tampa U of South Florida was his professorial cover and hub. For the devastating details,“Top Islamic Dog, PIJ’s Sami al-Arian, Deported“ reveals his trail of Jihad. Trial. On the other hand, very few have heard of Harlem Suarez, a/k/a Almlak Benitez – another Florida Jihadi among a laundry list within the state, never mind the rest throughout the nation. 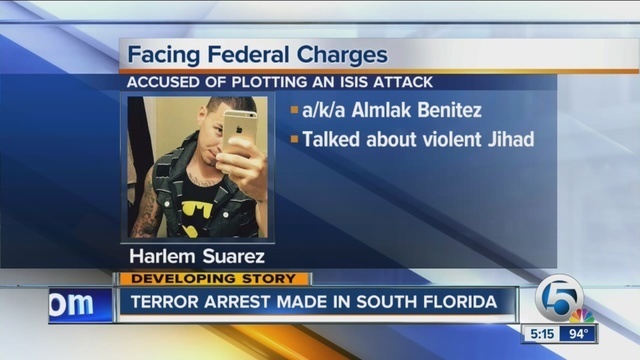 Regardless, “ISIS American Jihadi Arrested in Florida” should serve as a wake-up call – or not. 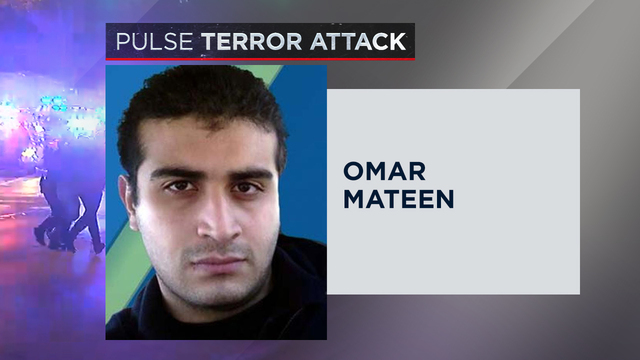 But let’s not forget Florida’s Omar Mateen, you know, the ISIS Jihadi who rocked the U.S. with his massive death toll – killing forty-nine and wounding fifty-three at Orlando’s Pulse Gay Club! So much so, he “earned” a chapter within “Banned: How Facebook Enables Militant Islamic Jihad.” It is entitled, “Jihad In Orlando: Facebook Takes Center Stage.” It is not for nothing. THE point being, despite the fact that the above is hardly a drop in the (Florida) bucket and elsewhere alike – and that the list is too unwieldy and onerous to cite – still yet, there is one piece of Jihadi information which dare not be overlooked – it is that important to national security! OUT of the gate, know that el-Shukri is the scion of one of the most infamous and influential al-Qaeda families, that is, aside from the bin Ladens’! Yes, he is part of Islamic Jihadi royalty. Dynasty. AND while it is the case that several high-ranking al-Qaeda Commanders of his familial tree have been dispatched to Allah’s hell-hole, “sonny-boy” is charging full-steam ahead – yes, you guessed it, in Florida! NOW, before an update is provided, know that the “person of interest”, Nabil-el-Shukri, is the “prodigal” son of (deceased) “Sheikh Gulshair” – having been an Imam at (some of) the most dangerous mosques in the U.S. That should tell you something! MORE specifically, he was assigned to the “Blind Sheikh’s” terror mosque, the Al Farooq (attached to the Al Kifah Refugee Center) on Atlantic Ave. in Brooklyn, NY. As it happened, Gulshair was his main translator in the early 90’s. And if some of this sounds a tad familiar, well, it should. The “Blind Sheikh” planned the 1993 Twin Towers bombing – the “dry run” for 9/11/01! AS an interesting side-note: Before immigrating to Israel, this Brotherhood Mafia expert had the occasion to “slip in and out” of Al Farooq via this and that contact – and with none the wiser. Mind you, the referenced associate is of Sephardi Jewish descent, whose appearance resembles an Arab much more than a Jew! Not only that, having lived in several Middle Eastern countries, he has their mannerisms and inflections down pat, aside from being completely fluent in Arabic – never mind Hebrew and English. Let’s just say that when one is a “fly on the wall”, well…..
NABIL-el-SHUKRI’s (deceased) older brother, Adnan El Shukrijumah, was a TOP-ranking al-Qaeda Commander! Imagine that. AND with his “stellar” pedigree at your fingertips, it’s time for the promised (Floridian) update. WITH the above in the forefront, one needn’t be a so-called “Islamophobe” to urgently inquire: How can it be that U.S. security agencies have not only failed to arrest el-Skukri for his many acts of material support for Jihad – let alone incitement to acts of terror – but are turning blind eyes to his fundraising via GO FUND ME for his terror-tied Tamarac, Florida-based Alazhar School website?? There are two names prominently found on the Tamarac, Florida-based Alazhar School website. One is that of the school’s principal, Dina Ibrahim, and the other is that of the school’s administrator, imam and finance officer, Trinidad-born Nabil el-Shukri. Recently el-Shukri took to the fundraising site GoFundMe to ask for money for a school expansion project. Given the terror-related background of el-Shukri and the extremism coming from a number of Alazhar teachers, any expansion of the school presents an increased threat to the community. Nabil el-Shukri first arrived in the United States in late 1995, when he, along with his mother and siblings (three sisters and a brother), was summoned to come to Brooklyn, New York by his father, Gulshair Muhammad el-Shukri-Jumah (Shukrijumah). Gulshair, then-missionary for the Saudi Arabian government, found himself in the middle of a federal terrorism trial dealing with the February 1993 bombing of the World Trade Center…. Following their January 1996 sentencing, Gulshair ushered his family out of New York and into South Florida. In May 2001, el-Shukri’s brother, Adnan, left the United States for Trinidad. Following the September 11 attacks, a number of al-Qaeda terrorists in US custody, including 9/11 mastermind Khalid Sheikh Mohammed, identified Adnan as a key al-Qaeda operative. Years later, Adnan would serve as a Senior Commander for al-Qaeda. As head of al-Qaeda’s external operations, Adnan was in charge of the September 2009 plot to conduct multiple suicide bombings in the New York City subway system. In December 2014, Adnan was killed during a pre-dawn raid conducted by the Pakistani military in South Waziristan. While Nabil el-Shukri cannot be blamed for his family’s past, his own past – and present – is rife with Islamist extremism. This includes his MySpace page, myspace.com/onsitedesigns, named for el-Shukri’s former graphic design and printing company. Today, apart from a photo of el-Shukri, the page is restricted from public view. Previously, though, everyone was able to see its disturbing content. In his position as administrator of Alazhar School, el-Shukri was interviewed for a video produced by al-Hikmat, the media arm of the Pembroke Pines, Florida-based Darul Uloom Institute mosque. The video was published in June 2011. Later that same year, in December 2011, a link was placed on the homepage of the Alazhar website to al-Hikmat’s site and remained there until July 2014. Darul Uloom has numerous links to al-Qaeda terrorists, starting with el-Shukri’s brother, Adnan, who was a prayer leader there. “Dirty Bomber” Jose Padilla was a student at Darul Uloom. And Darul Uloom Arabic teacher Imran Mandhai, along with fellow mosque attendees Hakki Aksoy and Shueyb Mossa Jokhan, hatched an operation at Darul Uloom to blow up power stations, Jewish businesses, and a National Guard armory. Currently, el-Shukri is looking for assistance to expand his school, $500 thousand of assistance. Computer photos from the expansion project depict a brand-new, attractive and technologically sound infrastructure. However, the city of Tamarac and all those who are effected by the school’s presence need to determine whether or not the school should exist in the first place. And Nabil el-Shukri is not the only concern about Alazhar. There are dangerous radicals within the ranks of its teachers, as well. Azza Ibrahim is a former kindergarten teacher at Alazhar School. Today, she works at Nur-Ul-Islam Academy (NUIA), a children’s school with past links to Hamas. Ibrahim is very public about her support for the Muslim Brotherhood of Egypt. She posts innumerable graphics onto social media featuring Brotherhood symbols and leadership. She, as well, has posted images denouncing Egyptian President Abdel Fattah el-Sisi, one of him draped in American and Israeli flags and one threatening his life with him staring at a hangman’s noose. Last month, she posted a photo of herself along with a graphic of Israel covered completely in a Palestinian flag….. IF the above is not enough to make a patriot howl at the moon, another U.S. mosque leader has been caught preaching: “Kill the Jews!” Are America’s security arms even listening? If not, why not? BUT if all of the above fails to raise the alarm to the highest decibels, perhaps this intel will resonate – or not. The statement said that overnight on Jan. 6, Syrian “militants” (terrorists) sent a large swarm of unmanned aerial vehicles to attack Russia’s Tartus Naval base and Khmeimim air base. Russian defenses took control of six drones and its Pantsir-S1 anti-aircraft missile and gun system shot down another seven. DEBKAfile’s military sources learned from the Russian statement that they used electronic measures to manipulate the UAVs’ navigation systems and bring them down intact. Moscow has now launched an urgent technical analysis of the captured drones, which were revealed capable of enabling terrorists to conduct attacks from a range of some 100km, and discovered using for the first time modern guidance technologies on satellite GPS. Russian security services are also urgently investigating who supplied these advanced UAVs to terrorists, warning that they make it possible for them to conduct air strikes anywhere in the world. AND while many in the U.S. pooh, pooh anything which the Russians report, well, that’s a good thing because they are finely-honed propagandists. But when it comes to this issue, pay heed: This site’s considerable counter-terror and counter-intelligence sources assure that the Russian assessment is devastatingly on target. Trust, if that’s good enough confirmation at this end, it should be enough for all the rest! Previous articleHas Washington governor gone crackers over carbon tax?